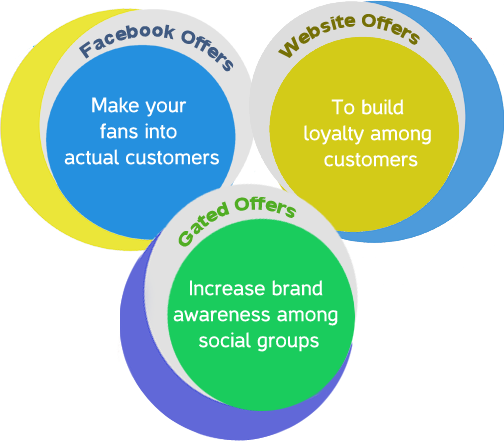 Creating offers is the effective way to retain customers and build brand awareness among the social audience to stay on your brand. Why You Want To Run An Offer? Helps to reach and engage your potential customers, to encourage them to become your real consumers. Greater way to buzz about your business over social networks. Use customizable Facebook tabs to explain more in detail about special offers. Increase brand loyalty among your customers. 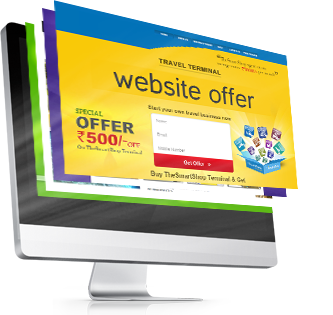 Assist to generate more lead conversion through website offer. Create website offer to influence new customers to stay on your brand. Create exciting gated offers to enhance brand awareness by inviting your fans to participate and share your offer with their friends to unlock it. How To Run Your Offer? 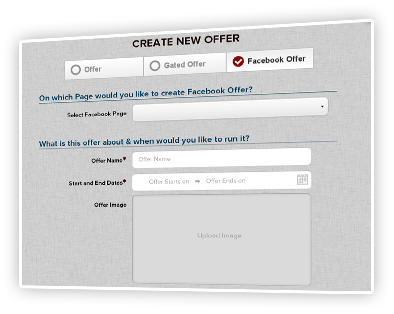 Create exciting offers with flexible content templates and enjoy excellent user experience. Custom templates helps to navigate easily from start to end with desired offers. Attract more people by publishing offers in interesting ways. Make your offers to reach targeted audience at the right time. 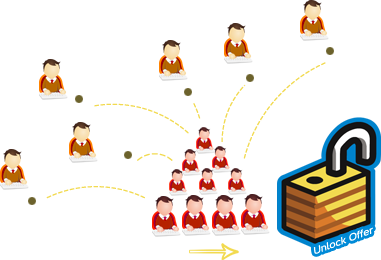 Publish your offers in multiple channel like website and Facebook pages. Measure your offer performance with accuracy in insights. Tracking data helps to optimize your existing strategy for successful future.